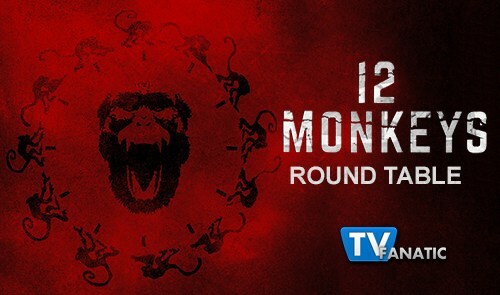 Welcome to our very first 12 Monkeys Round Table! Many sci-fi fans were eagerly anticipating this reimagining of Terry Gilliam's time travel classic, as 12 Monkeys Season 1 Episode 1 quickly set itself apart from the film that inspired it. The showrunners gave us a more focused "man on a mission" in Cole and made Dr. Railly a virologist (makes sense); fleshing out her character significantly more than film. Not to mention the fact the army of the 12 Monkeys is a serious threat here, not just a red herring. Join TV Fanatics Stacy Glanzman, Carissa Pavlica, Paul Dailly, Carla Day and Hank Otero as they discuss the pilot, rewriting time and all that fun wibbily wobbly timey wimey stuff! 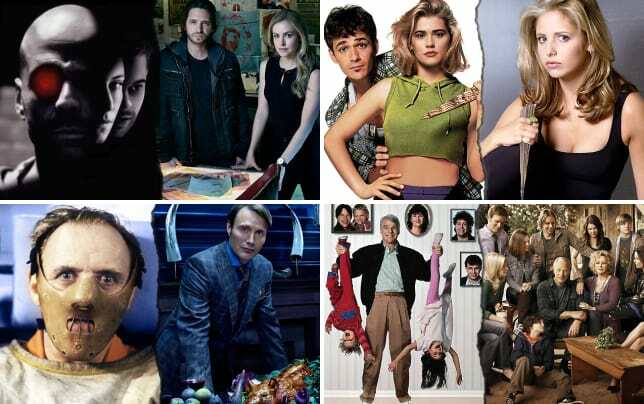 Love the show? Then don't be shy and share your crazy theories with us in the comments below. That's part of the fun! 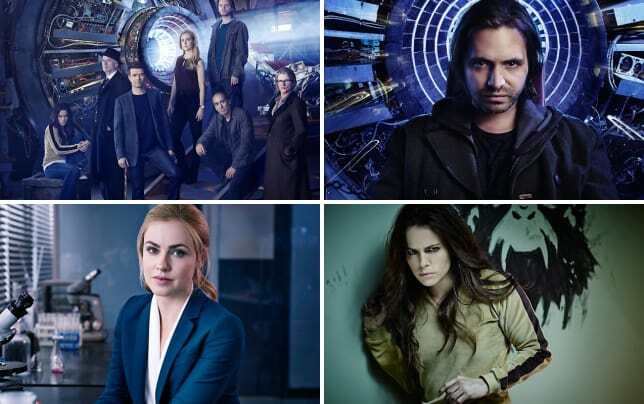 What did you think of the 12 Monkeys pilot? Did it live up to your expectations? Stacy: It was really good! I honestly didn't go into it expecting much, but I really enjoyed it so it's safe to say it exceeded my expectations. Carissa: No. Because I went in with no expectations, there was nowhere to go but up and it exceeded them in the best way. Absolutely amazing. I loved it. The pace was perfect and the story engaging. Paul: I agree with everyone. I also went in with no expectations as I watched the pilot by chance and got sucked in. Really excited about the direction the show is going. Carla: When I first watched the premiere, I didn't really know what to expect and I was blown away by it. The performances were spot on, the mystery had me hooked, and the stakes felt real for these characters. I immediately wanted to watch more. Hank: I guess I'm the only one that had certain expectations because I love the movie. As I mentioned in my 12 Monkeys Season 1 Episode 1 review, it didn't take long for the TV show to win me over. By the end of the episode, I was so engaged that the movie was just lost in time to me. If you could rewrite the past; hit a reset switch... would you? What event would you change? Stacy: No, time is not something to be messed with and who's to say changing an event in history would make anything better? We're not in a post-apocalyptic world so I wouldn't risk messing with the present to change the past. Besides, changing one event, even if it was a really bad one, isn't going to stop bad things from happening in the present or the future. Bad things are always going to happen, changing one event in history isn't going to stop that. Carissa: It will really depend upon if I ever write the book I want to write, because the crap that went down should sell. But, there is a moment that haunts me to this day and if I could go back and ensure I never found my way there, I would absolutely 100% make the trip. If that went well, I might go back again and again. In reality, I have asked for a time machine more times than I can count. Paul: I wouldn't change anything. The past is the past for a reason. Carla: No, that's very dangerous. Overall, I feel I've been very fortunate in my life. I've made it through the lows and come out even stronger. Hank: I certainly think I'd be tempted to do away with the Holocaust, the Atomic bombs dropped on Hiroshima and Nagasaki or the 9/11 World Trade Center attacks to name a few. When asked this question on the 12 Monkeys podcast I co-host, the first thing that popped into my head was stopping Mark David Chapman from killing John Lennon. Imagine the songs Lennon's death deprived the world of. Is Cole truly motivated by guilt or is it something else altogether now? Feelings for Cassie perhaps? Stacy: I don't think there's just one thing motivating Cole. Guilt and Cassie are probably both factors, but I also think he genuinely wants to do the right thing and make a difference in the world. Carissa: I honestly have no idea, and I don't think he has any idea either. I believe that will be a part of the journey. Paul: I feel like his guilt is his motivation going. I think we all know the show is going to pair these two together romantically. Carla: Something happened to Cole in his life that he felt it was his mission to splinter and erase his 2043 existence. I have no clue what that may have been at this point, but I'm looking forward to seeing that story unfold. Going forward, I think Cassie will be a huge part of why he continues on the mission, though she wasn't an initial motivation. Hank: I agree that perhaps Cole's guilt was the reason he initially agreed to that one mission to take out Goines. Like Carla, I feel Cassie is now a major factor in Cole wanting to return to the past. Cole killed Leland Goines, but was not erased. Is it possible he did not create the virus and just took credit for it? Stacy: Yeah, I think that's possible. He was probably involved in the creation of the virus, but chances are it wasn't all one person and that's why just killing him wasn't enough. Carissa: I'm wondering if someone else pinned it on him because of something to do with his daughter. I have nothing, to be honest. However, when he asked the question about what he did that sent Cole through time to hunt him down, he was frightened, fascinated and without the slightest inkling of what he could possibly do to cause it. Paul: I'd say he didn't create the virus. I'd be really shocked if he did. The true creator will probably be revealed in the season finale. Carla: Cole believed Leland was responsible for the virus but that was based on flimsy evidence. It was naive for those in the future to believe killing one man would stop the creation of the plague. Also, Cole's single focus blinded him to the bigger picture that killing Leland was not the answer. Hank: I'm with Paul, my first thought was that the virus was created by the young "rockstar" Leland was bragging about at the party. Perhaps Leland Goines simply took credit for it, but I don't think he created the virus. What role will Jennifer Goines play in all this? Is she a member of the army of the 12 Monkeys? Stacy: I was under the impression that she is a member. It looks like she's going to be an important part of the story moving forward. Carissa: Either that or she knows of the group and wants to be a member. I'm guessing we'll find out right quick! Paul: I have no idea! I'm thinking she will want to join the army. Carla: Jennifer is involved in some way. How? Watch 12 Monkeys Season 1 Episode 2 for more insight into what role she plays. I can't really answer this because I've seen the episode (It's awesome! Tune in!). Hank: Like Carla I've seen the second episode, so I'm opting out to avoid spoilers. However, I will say I love the way things play out and Jennifer's role in all this is interesting. I'm looking forward to talking more about it in the coming weeks. 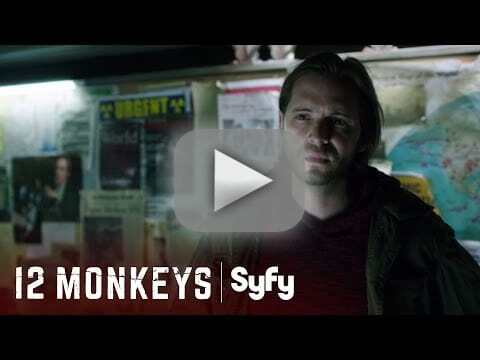 12 Monkeys Sneak Peek - "Mentally Divergent"